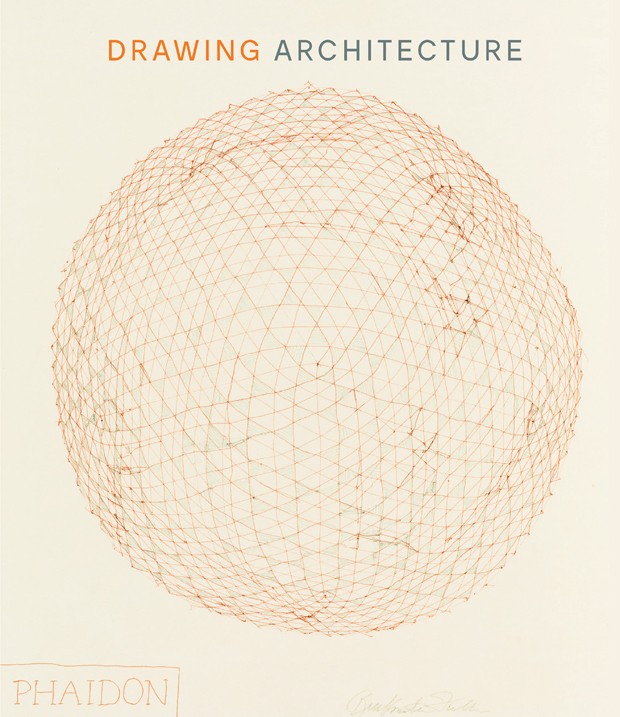 architect design™: Drawing Architecture - perfect Christmas gift! Drawing Architecture - perfect Christmas gift! Just in time for the Christmas shopping season Phaidon has released a book perfect for the architecture lover on your list, Drawing Architecture by Helen Thomas. 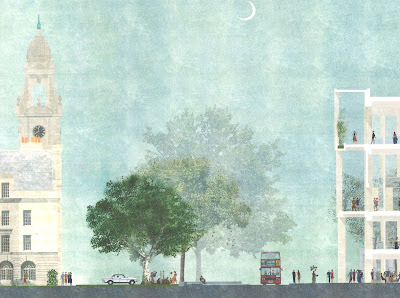 Above is a recent rendering by Grafton Architects done with computer software in 2013. Unlike most computer renderings, notice how soft and beautiful it is. This transforms what is ordinarily a cold lifeless drawing into an art form; I'd hang this on my wall! Showcasing over 250 drawings by architects from Bernini to Frank Gehry and Michelangelo to Renzo Piano, the book highlights how styles have changed but the way architecture is represented has mostly stayed the same. 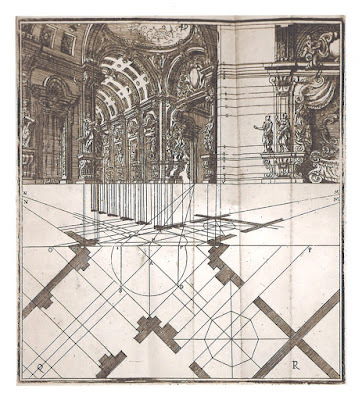 Above is a sketch completed by set designer Ferdinando Galli da Bibiena in 1732 of a piece of scenery for the baroque stage. Notice the clever way the elevation and plan are represented together. 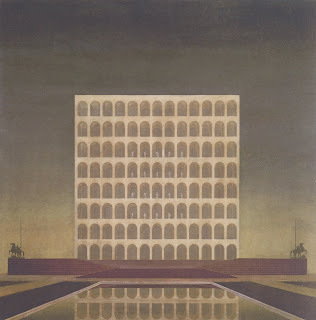 Lastly I wanted to share a rendering from 1939 by architect Ernesto Bruno la Padula of one of my favorite buildings in Rome, the Palace of Italian Civilization. While this was completed after the building was complete, these types of renderings are instrumental in working with clients. Author Helen Thomas is a trained architect and writer who works at the London V&A museum in London that I just had the pleasure of visiting (lucky her!). Definitely add this book to your shopping list, perfect for any lover of architecture or even just drawings. The beauty of architectural renderings is a two-edge sword. 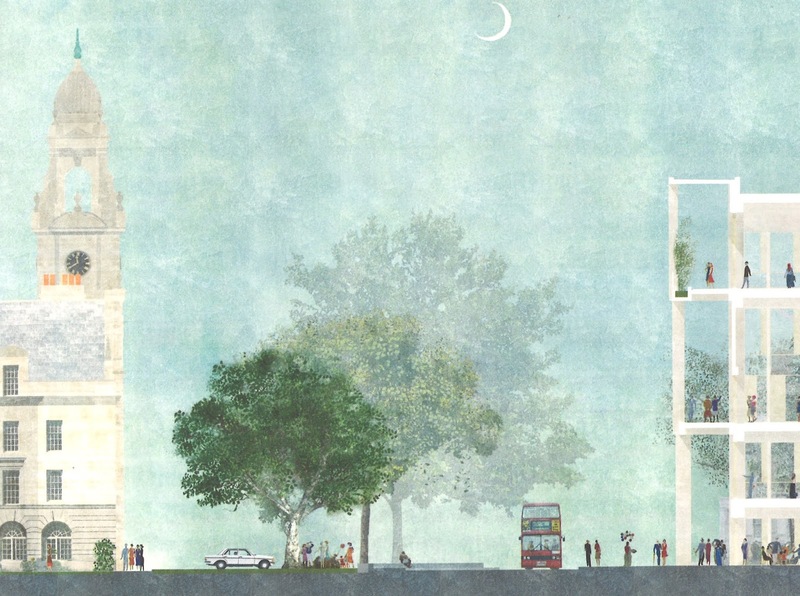 Architects are now tempted to sell off individual drawings instead of keeping their archives intact so that they end up at some university or library, available to all who study their design and impact. A better choice for consumers is to buy this book, and to concentrate on architectural engravings (or Canaletto originals) if they want something for the wall. p.s. Computer drawings of course allow architects to publish their more attractive drawings, while keeping their archives intact--that is, if they remember to make proper back-ups or their data!